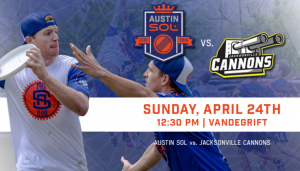 This weekend is looking like a good one and as always, in Austin, there is tons to see and do! If you don’t have any plans yet or your plans got cancelled because of all the rain we got, don’t fret. Here are a few of the amazing things going on in this cool city. 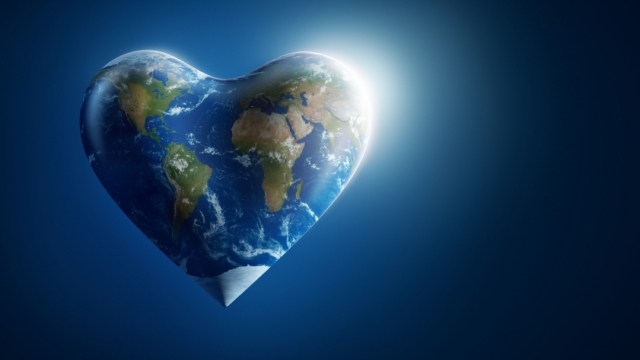 First and foremost, TODAY IS EARTH DAY! Get out and enjoy nature and be kind to this beautiful place! All day long, stop by the the visitor center before hiking the trails for a photo booth, FREE giveaways, and a kid-friendly scavenger hunt. FREE! Check it out here. Join Hill Country Conservancy and Sun Radio in celebrating Earth Day underneath the oak trees at Guero’s. Enjoy some of the best Americana bands from around Austin coming together for an incredible evening of music, margaritas, and merriment. Suggested donation: $10. Check out more here. BLUE OCTOBER, the San Marcos, TX-based is coming to play for free at Waterloo Records. With songs such as “Bleed Out,” “Angels In Everything” and “Fear,” and the edgy rocker “Put It In,” the Texas four-piece comes back strong with a revitalized energy and a positive outlook. Check out more info here. The festival will kick off with a grand parade at 6:30 on Friday and last throughout the weekend. Bring a lawn chair and arrive early to find the perfect spot to view the procession as it meanders through downtown. 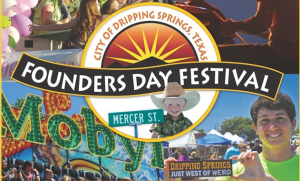 The event will continue all weekend long with live music and entertainment, street dances, the Mighty Thomas Carnival for kids, cook-off competitions, more than 150 arts and crafts vendors and business booths, tasty BBQ, and traditional fair food. The festival, celebrating its 10th anniversary, hosts many artists from the area, displaying varying forms of art and featuring live music on two stages (including performances by Joe McDermott and The Biscuit Brothers), local foods, and much more. FREE! Check out more here. 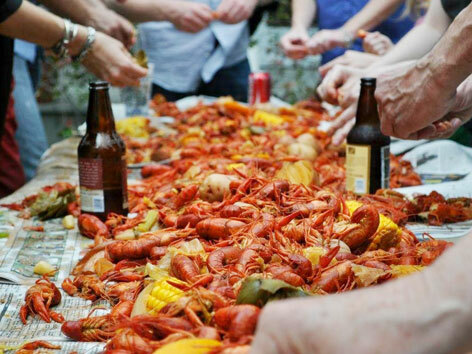 Pat Green, along with the Blue Water Highway Band will be rocking at the 12th Annual Lonestar Crawfish Festival. 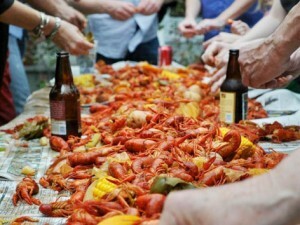 With “ALL-YOU-CAN-EAT” crawfish at Stubb’s Bar-B-Q, we’ll be partying Cajun-style. 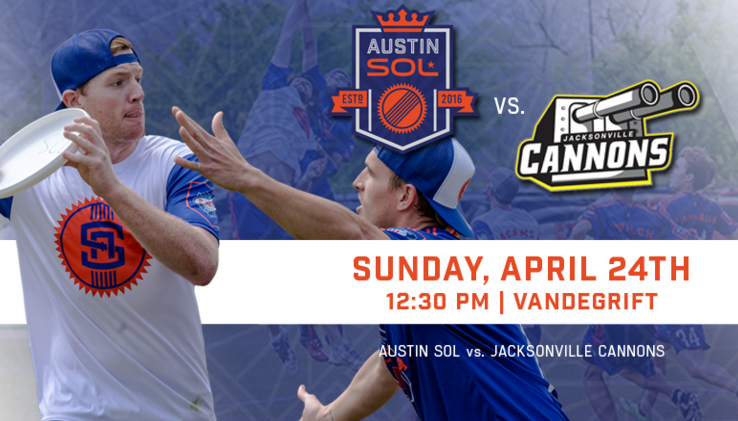 All proceeds from the event will go towards the Busby Foundation as they support Central Texas families affected by ALS. Tickets still available for $30! Get more info here. Ranging in size from single performers to ensembles of 70 pieces or more, and running the musical gamut from classical to rock to jazz to world beat and everything in between, TCMF11 truly has something for everybody’s musical taste. Rain or shine. Free! Check out more here. Have a great weekend out there and enjoy this lovely Texas sunshine!